After the last performance in Providence on January 31st, Cabaret will move to Pittsburgh. The show will run from the 2nd to the 7th of February. As announced on Cabaret's official Twitter , on the first day at the Benedum Center for the Performing Arts the network Lifetime Tv will go backstage with Balancing Act Tv. Can't wait to have some more sneak peeks! 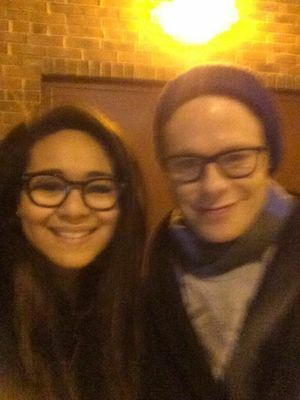 One more photo with fan! 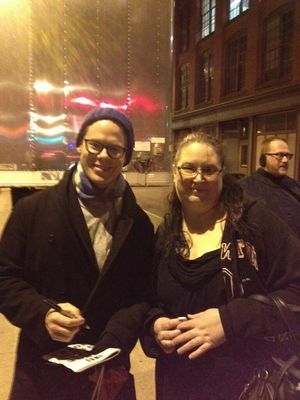 We added to our gallery another photo of Randy with a fan, taken last night after the show. Thank you so much to Tamara for letting us share it! A few days ago the Tv network CW28 published on their Youtube channel a video interview to the cast of Cabaret. And there is also a short video of the whole cast taking a bow at the end of last night's performance. We have another photo of a smiling Randy after last night's brilliant performance! Thank you so much to Lauren for letting us share it on our website! Credits for the photo to Cookiebun! 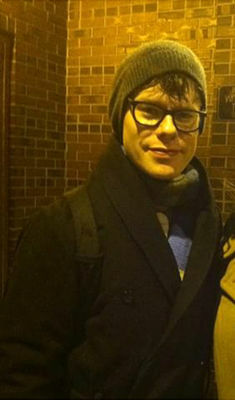 We added to our gallery another photo of Randy taken immediately after the show on January 26th. The owner of the photo gave us the authorization to post it on our website. Thank you so much to our friend Klalib18! There are some new articles and a whole bunch of reviews all thrilled about Randy's performance! We'll be adding the links to the different reviews/articles as soon as we get them. Jack Craib in his blog South Shore Critic wrote an enthusiastic review about Cabaret and the whole cast. 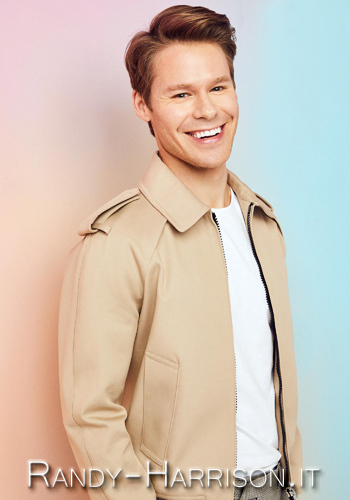 About Randy's performance as the Emcee he wrote "any production of this show rises or falls on the performance of its Emcee, and Harrison is a mesmerizing triple threat, his acting fierce, his movement sinuous, his singing stunning as he hovers almost non-stop over the proceedings. One is totally blown away by the visual ending..."
It looks like Randy really nailed it! Photo of Randy with friends! We have a group photo from last night. In this selfie, taken by a smiling Randy after his brilliant performance at the opening night of Cabaret and posted on JT Shults' Instagram, Randy is relaxing with his longtime friends Nick Cearley, JT Shults, Nick Adams and Dani Spieler! A first review on Cabaret! After last night's opening we read a lot of enthusiastic comments on Twitter about Cabaret and the whole cast, but especially about Randy's performance as the Emcee! The Providence Journal wrote a review about the show describing Randy as "fabulous as the club's lascivious Emcee".